If you have any questions about the RIPPLE information page below please contact us. RIPPLE used to be project/yacht name Gee Dee. This 31 metre (101 foot) luxury yacht was created by Brooke Marine /Brooke Yachts International in 1990. 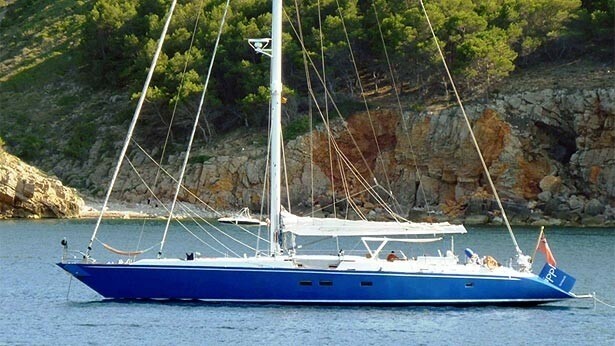 Sailing Yacht RIPPLE is a well sized superyacht. The naval architect which delivered her design details in respect of this ship is Ron Holland Design and Bannenberg Designs Ltd. Her initial interior is by Bannenberg Designs Ltd. Luxury yacht RIPPLE is a interesting yacht that can accommodate a total of 6 passengers on board and has a total of 4 qualified crew. Ron Holland Design was the naval architect firm involved in the professional vessel plans for RIPPLE. Also the company Ron Holland Design and Bannenberg Designs Ltd successfully worked on this project. Interior designer Bannenberg Designs Ltd was selected for the internal internal styling. 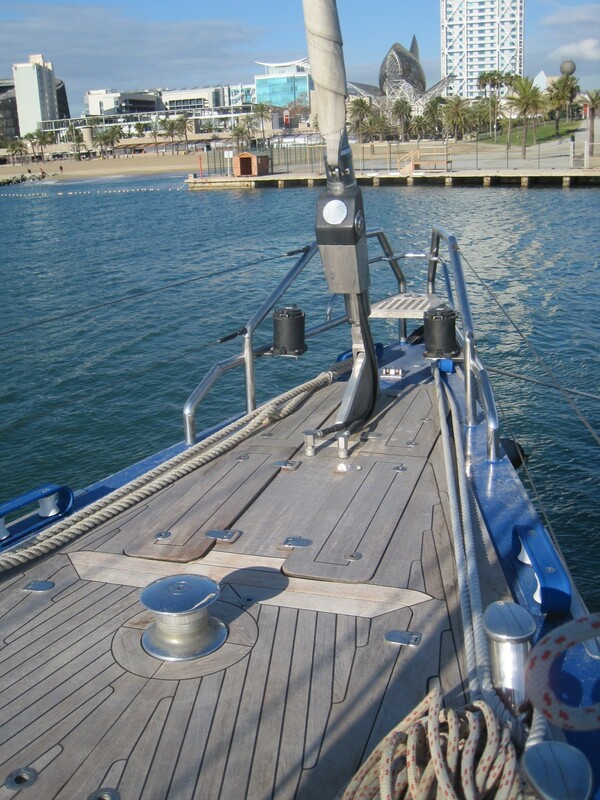 Created at Brooke Marine /Brooke Yachts International the vessel was fabricated in the country of the United Kingdom. 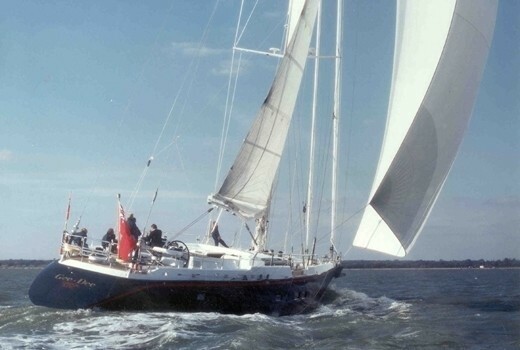 She was successfully launched in Lowestoft in 1990 before being delivered to the owner. Her core hull was built out of aluminium. 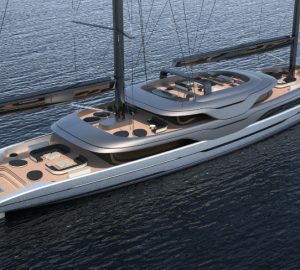 The sailing yacht superstructure component is made largely using aluminium. With a width of 7.1 m or 23.3 feet RIPPLE has reasonable internal space. She has a deep draught of 3.44m (11.3ft). She had refit maintenance and modification undertaken in 2002. The D2866 engine powering the yacht is built by MAN. Connected to her MAN engine(s) are a single screw propeller. The main engine of the ship generates 350 horse power (or 261 kilowatts). She is fitted with 1 engines. The total output for the boat is accordingly 350 HP / 261 KW. The bow thrusters are Richfield. With cabins for a limit of 6 visiting passengers staying on board, the RIPPLE accommodates everyone comfortably. The boat utilises approx 4 expert qualified crew to run. Brooke Marine Ltd./Brooke Yachts International Ltd.
30.72 metres / 100.8 feet. Her Engine(s) is one 350 HP or 261 kW MAN. The Model type is D2866 diesel. Giving the combined power of 350 HP /261 KW. Northern Lights 1 times 42 kilowatts, 1 times 24 kilowatts. RIPPLE features a teak deck. 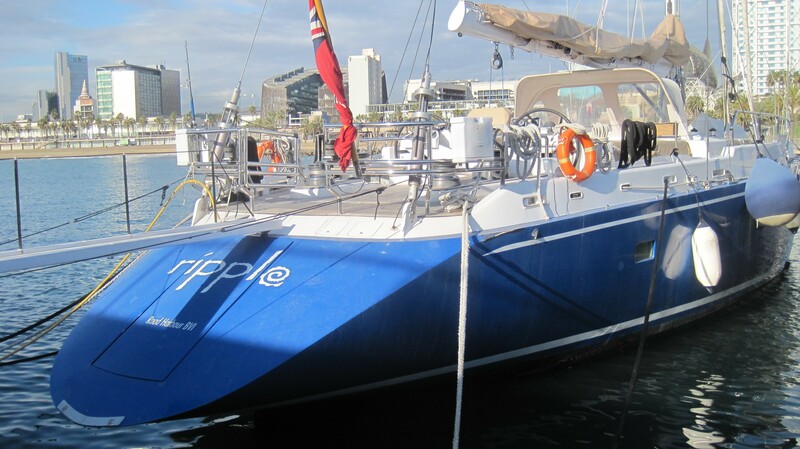 The luxury yacht RIPPLE displayed on this page is merely informational and she is not necessarily available for yacht charter or for sale, nor is she represented or marketed in anyway by CharterWorld. This web page and the superyacht information contained herein is not contractual. All yacht specifications and informations are displayed in good faith but CharterWorld does not warrant or assume any legal liability or responsibility for the current accuracy, completeness, validity, or usefulness of any superyacht information and/or images displayed. All boat information is subject to change without prior notice and may not be current.